`100 Balls 3D` official trailer. 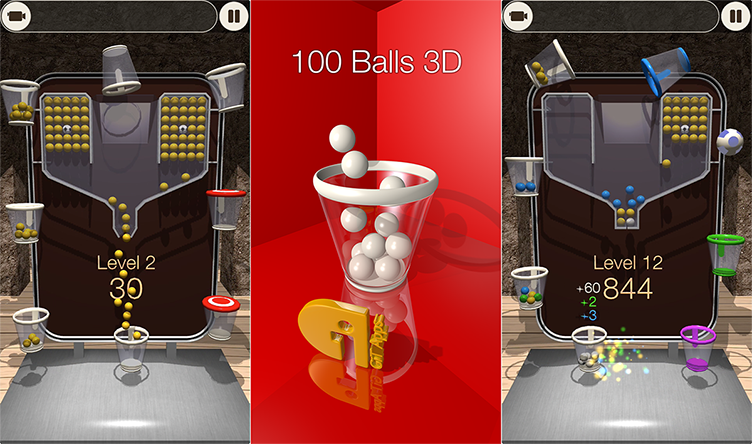 New game `100 Balls 3D` now is available on the App Store. New game `Balls Go` Tomorrow will be available on the App Store. New game `Shoot The Balls` now is available on the App Store. `100 Balls` update (Version 1.4) approved. It is now available on the App Store. `100 Balls` update (Version 1.1) is coming. Will be available at the end of next week. My name is Giedrius Talzunas and I am an indie developer from small, but very nice country Lithuania. Nowadays I am developing games for Apple devices. It`s very hard and a lot of time requiring job, but it`s my passion, I love doing that. Up to 2008 I was in a real estate business. It was a good job until economy crisis. After a bankruptcy I decided to learn something new. I was thrown to the world of numbers, formulas, graphic design and marketing strategies. After million hours of studying I created my first website. It was funny simple. After two years I had few websites on my counter and I decided to go further. I became Apple developer with basic skills of programing and designing. On February 2012 I released first application. It was puzzle game "Black Eye". My expectations was bigger then the reality. But I didn`t surrender. Now I am here with 8 applications and a huge desire to learn more and create something beautiful. I called this website "GiT-Apps.com" because I`m planning to expand my business with more creative people, but it wouldn`t be possible without You! Thank You for using my applications, leaving reviews and sharing on facebook, twitter and etc.